Clients who belong in a highly regarded circle and have a huge following of fans are like pots of gold for wedding vendors. Aside from a rewarding fee, handling VIP clients also allows vendors to rise in fame and attract other clients to use their services. Learn how to get VIP clients from these tips and tricks! The first thing that a VIP groom or bride-to-be does when they hear about a particular vendor is to check for their online credentials. They have a certain taste and image that they want to keep. Through checking for vendor's credentials and portfolio, it will ensure them that they will hire the right one. An Instagram account is a definite must, but not only that, it's best to keep your Instagram feed continuously updated. Your business might not look interesting if it only has a few posts. No new projects? Create effortless postings just for the sake of digital content. For example, catering vendors can post their innovations of canapés or a new menu. In addition to Instagram as your main social media, you can also create a website to present your catalog or gallery. With a strong digital presence and skyrocketing traffic, your business will be noticed by a grand client in no time. You'll never know who will attend the wedding of your client. 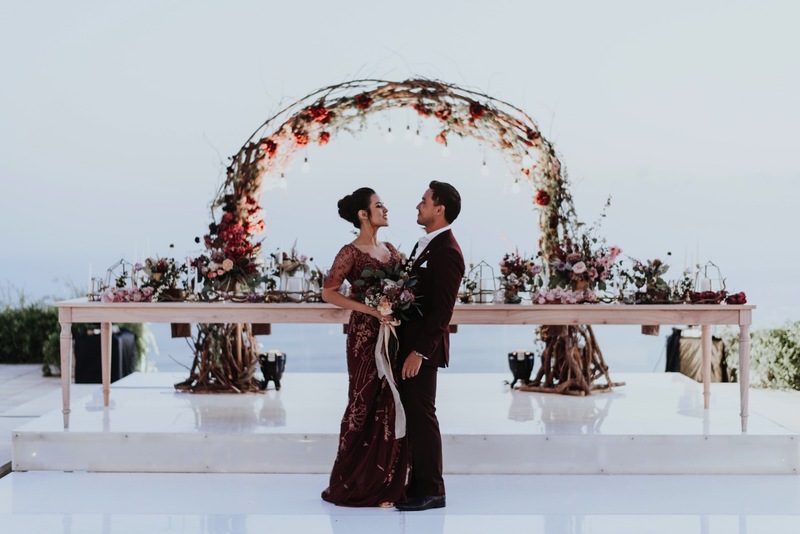 A small-sized wedding that doesn't seem like much could be attended by a YouTube star or an Instagram influencer that happens to document a lot of what's going on during the wedding. Before you know it, words will get out on where the wedding was held, who decorated it, who dressed the bride and so on. As vendors, you should put 110% effort on every project that they take because every project is a chance to be publicized and seen by a notable that might book your services in the future. Moreover, putting your brand where it can be seen is also a great idea. Make sure that you get the Instagram information of the photographers and videographers documenting the wedding. When they upload the wedding documentation in their Instagram account, kindly ask them to tag you if your work is seen through their lenses. It's a subtle way of publishing your brand through other people's work. Here's what you should do when you hear that a certain celebrity or notable person in society is getting hitched. First, you'll want to arrange your best projects in an easily accessible format to be proposed to the targeted client. They might not have time to check your Instagram or website, so deliver a one-click PDF for them to look at. Second, know that your chances of getting them to use your service are 50/50. So, offer a free-of-charge service for their engagement day, traditional ceremonies, and/or wedding. It might seem like you will lose money when in fact you can get free publishing this way. Your portfolio is going to look great by showing that you've worked with VIP clients. Not to mention, you can build your network during the wedding day. Prestigious clients would hire prestigious vendors, so take time to get to know other vendors at the wedding and ask them to refer you to their future clients. Scoring an acclaimed VIP client is indeed not easy, yet not impossible. All it takes is hard work and an excellent marketing strategy to ensure your brand's acknowledgment spreading to a broader audience. Good luck!